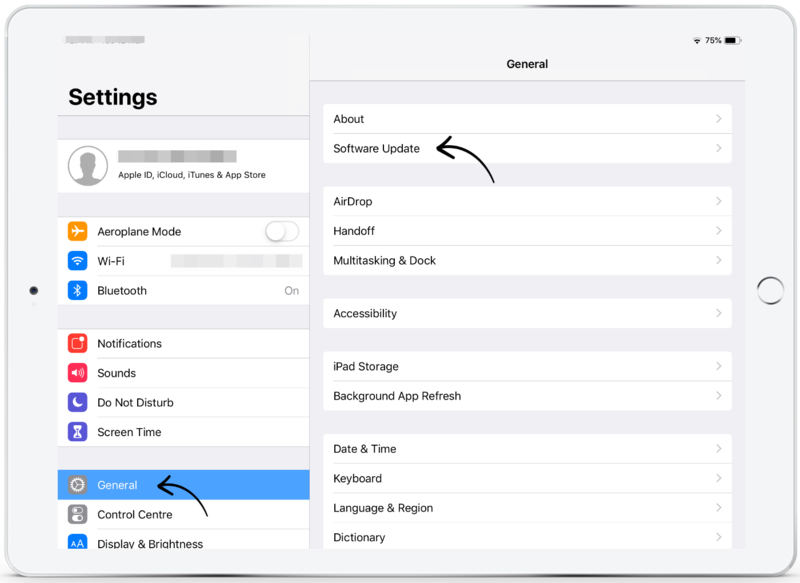 As with most software, Apple release periodic updates for their iOS (the software the iPad uses), please find the steps below to apply an update to the iOS. Plug your device in to power and ensuring the wifi is connected. Tap on the iPads 'Settings' icon. Navigate to 'General' and tap on 'Software Update'. Tap 'Install Now' below the iOS version to apply the update. *Please note, if a message asks to temporarily remove apps because iOS needs more space for the update, tap 'Continue' or 'Cancel'. Later, iOS will reinstall apps that it removed. If you tap 'Cancel', learn what to do next. 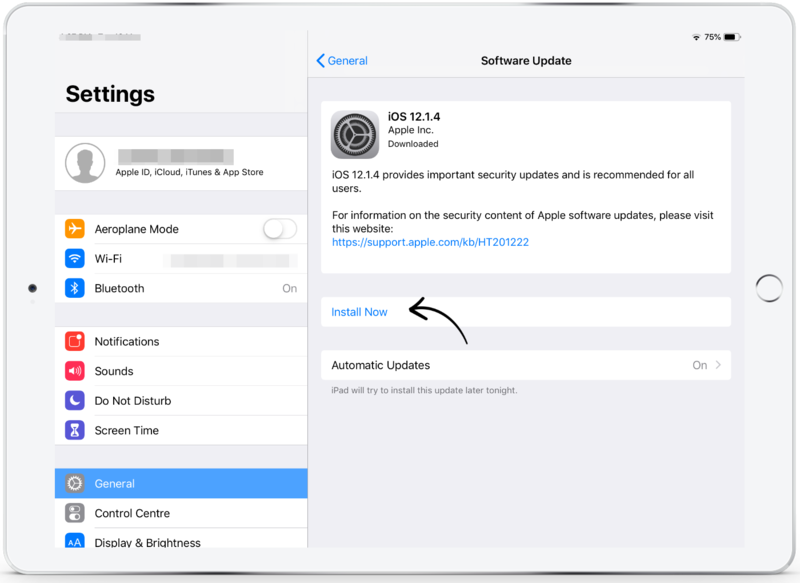 *If you do not wish to apply the update immediately, you can tap 'Later' and choose 'Install Tonight' or 'Remind Me Later'. If you tap 'Install Tonight', just plug your iOS device in to power before you go to sleep. Overnight, your device will update automatically. *If you are unsure what the Apple ID password might be, please find Apple's support article to find out how to retrieve this information.